There are many occurrences that could disrupt your business, leading to loss of revenue and possibly additional, unplanned expenses. The biggest concern for many businesses used to revolve around inclement weather or natural disasters. These days, data breaches are a more immediate threat. Whatever the cause of disruption, however, a company’s ability to move ahead relies on having a solid business continuity plan in place to address the issue and recover in a timely manner. 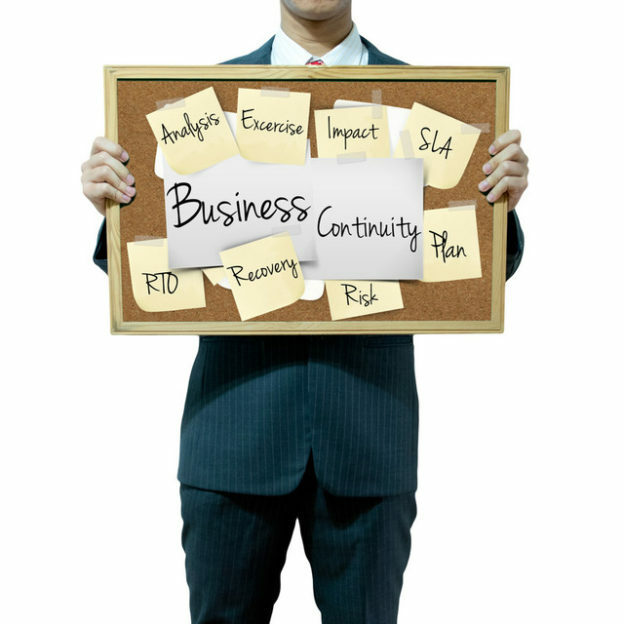 Here are a few tips to help you create a continuity plan for your operation. Your business continuity plan may apply to any number of scenarios in which business is disrupted, from power outages, to employee strikes, to cyber-attacks on computer networks. However, identifying and understanding potential threats can only help you to better prepare for every possible contingency. In addition to knowing the threats that could derail your operations, it’s important to walk through what will happen in the wake of such catastrophes. What happens when your company becomes the victim of ransomware? If you’re unprepared for this possibility, chances are you’ll end up paying the ransom in order to regain control of your network and access to your files. The other potential outcome is that you refuse to pay and you have to start from scratch. The third option, of course, is preparing with a business continuity plan that includes appropriate technical support. This might include a managed services provider that hosts off-site system backups you can implement in just such an emergency to keep your business up and running. Whether you hire in-house IT staff or you work with a third-party vendor, you’re going to need a team in place that can spring into action when a disaster occurs. This team could help to create your business continuity plan as well as implement it should the need arise. A solid business continuity plan will have to identify essential business functions and find ways to restore them in the event of a partial or complete shutdown. The goal is to disrupt normal operations as little as possible. Employees are trained not only to do the jobs for which they were hired, but also to interact appropriately with coworkers, observe basic computer security protocols, and generally behave in a safe, responsible, and appropriate manner in the work environment. Part of their training should also include steps to follow in the event that business is somehow disrupted, including informing superiors, contacting a recovery team, or following other prescribed protocols.